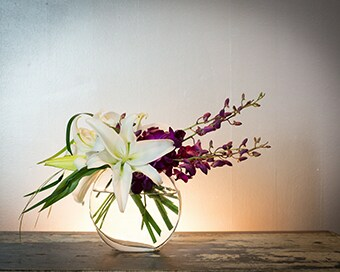 This one of a kind arrangement designed in a very modern unique glass vase. Everyone will be talking about this one! White lilys, Fushia exotic orchids and Lily grass. Clean and Simple and magnificate!